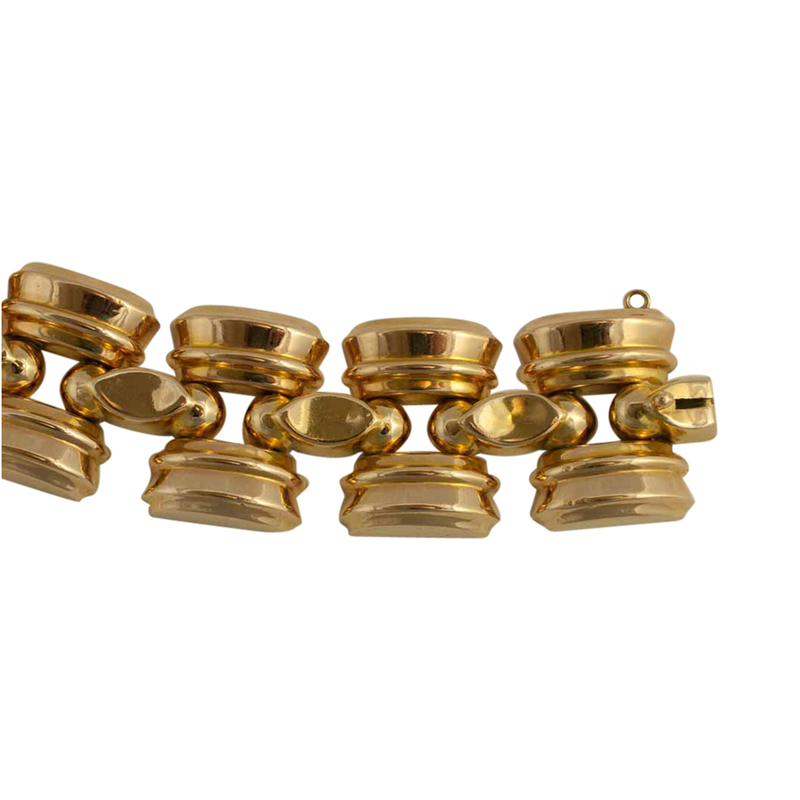 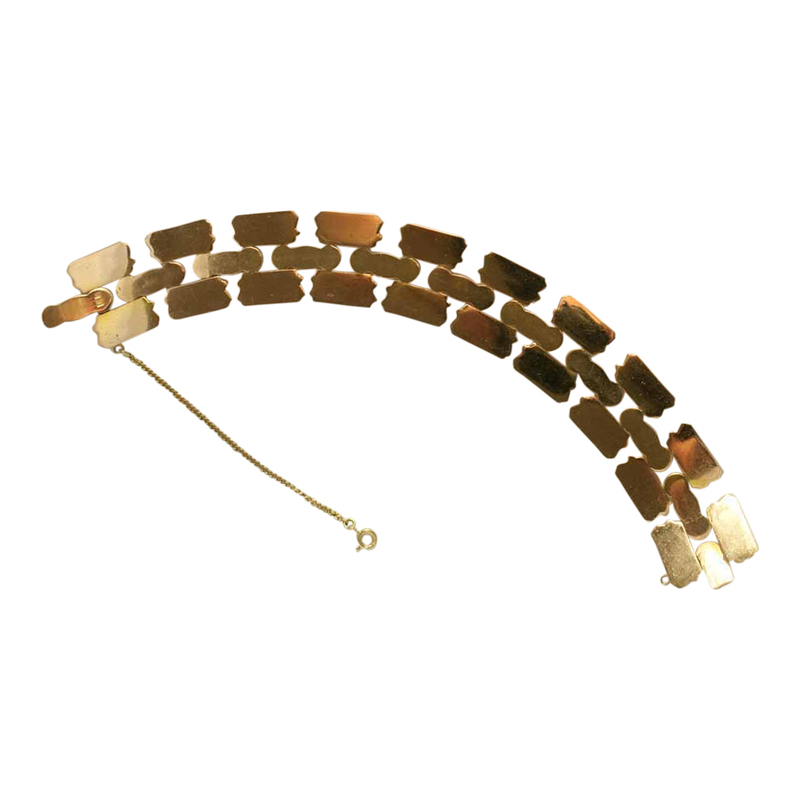 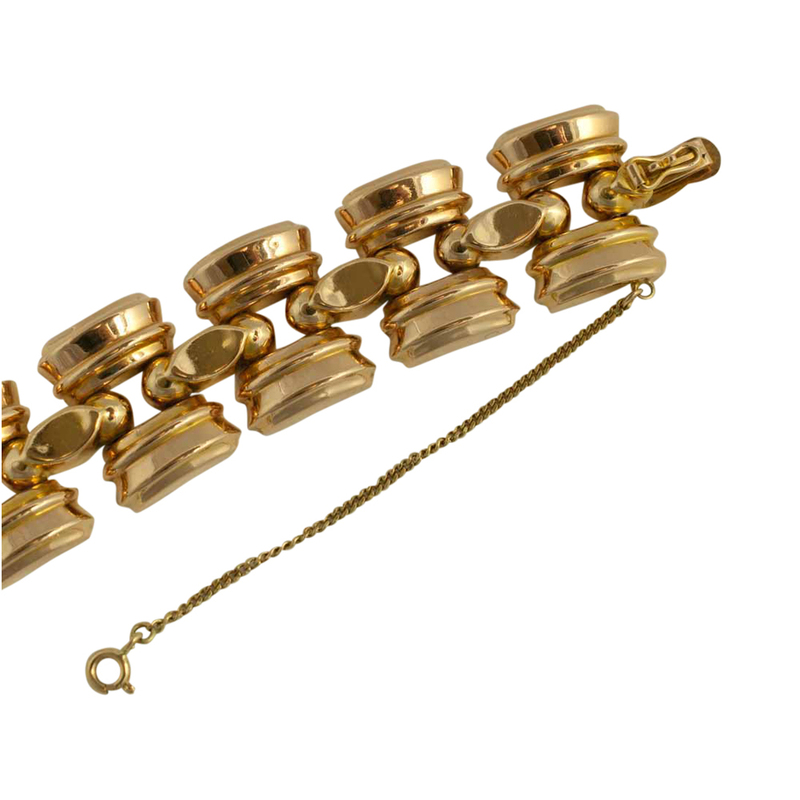 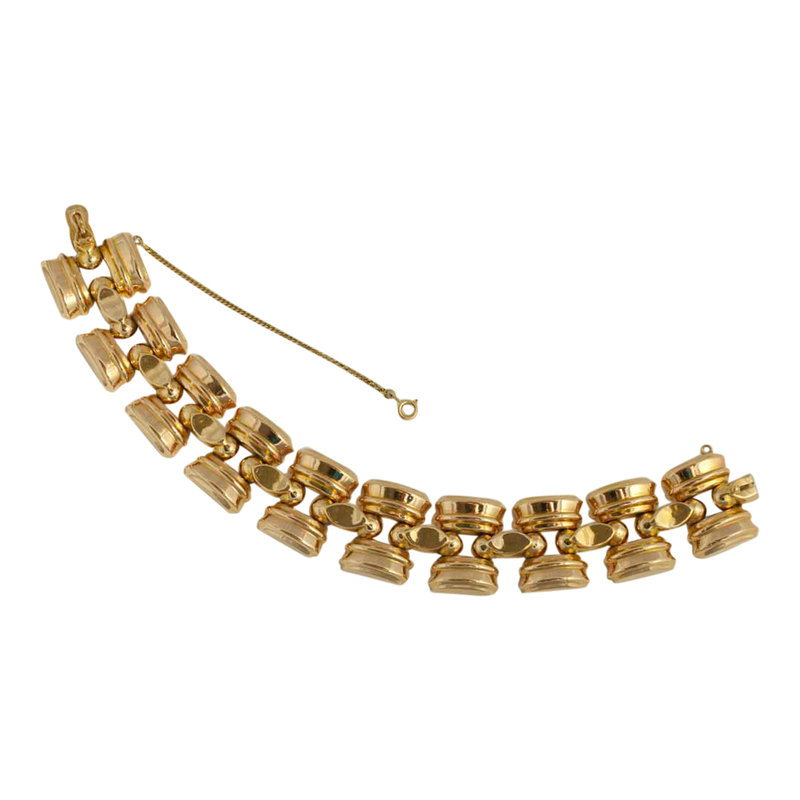 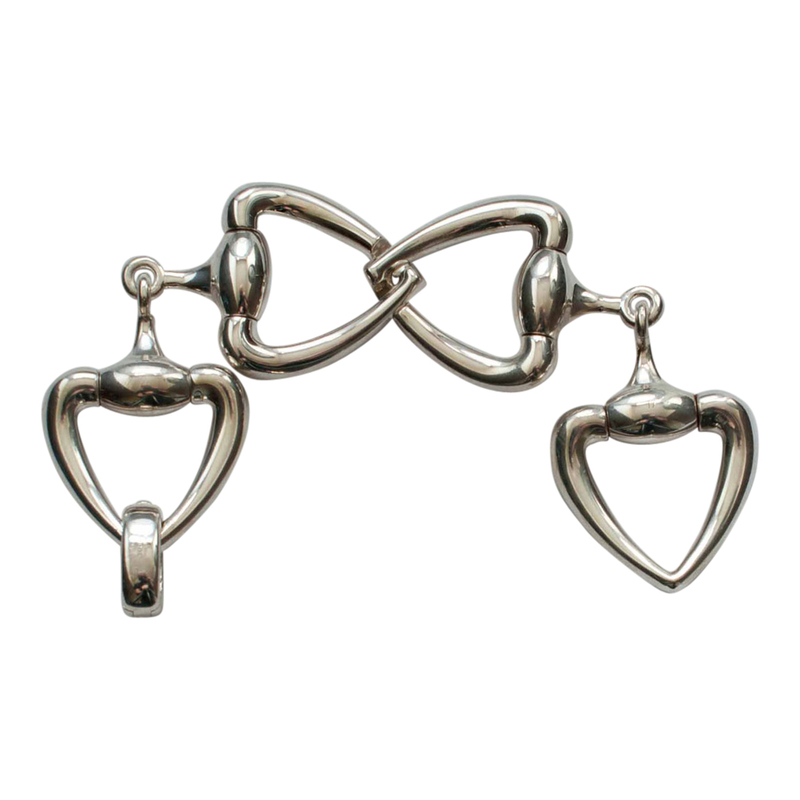 Stylish retro bracelet in 18ct gold; this lovely vintage piece weighs 67.2gms and measures 19cms x 2cms. 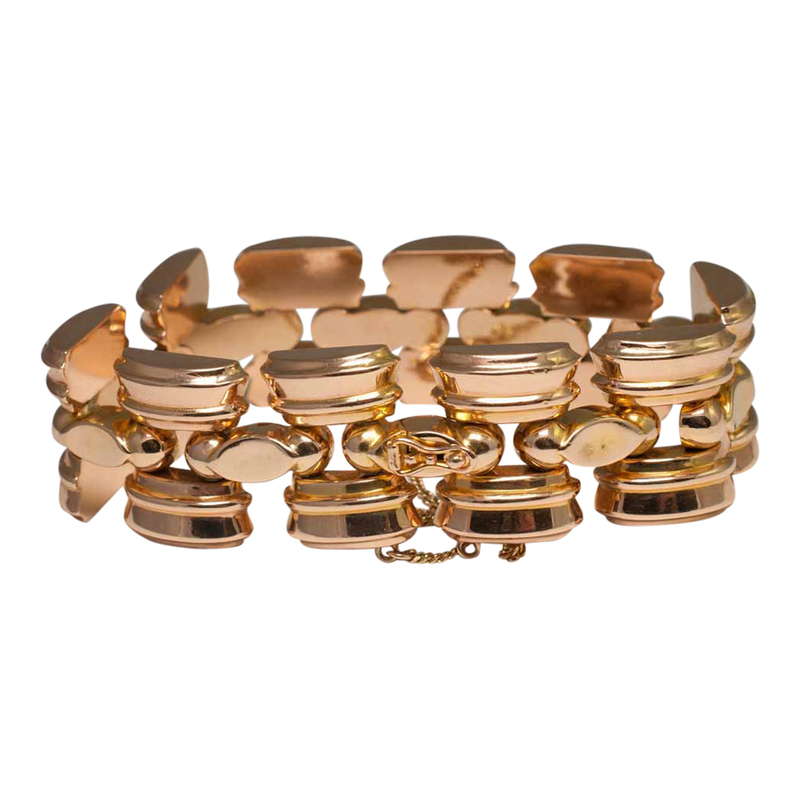 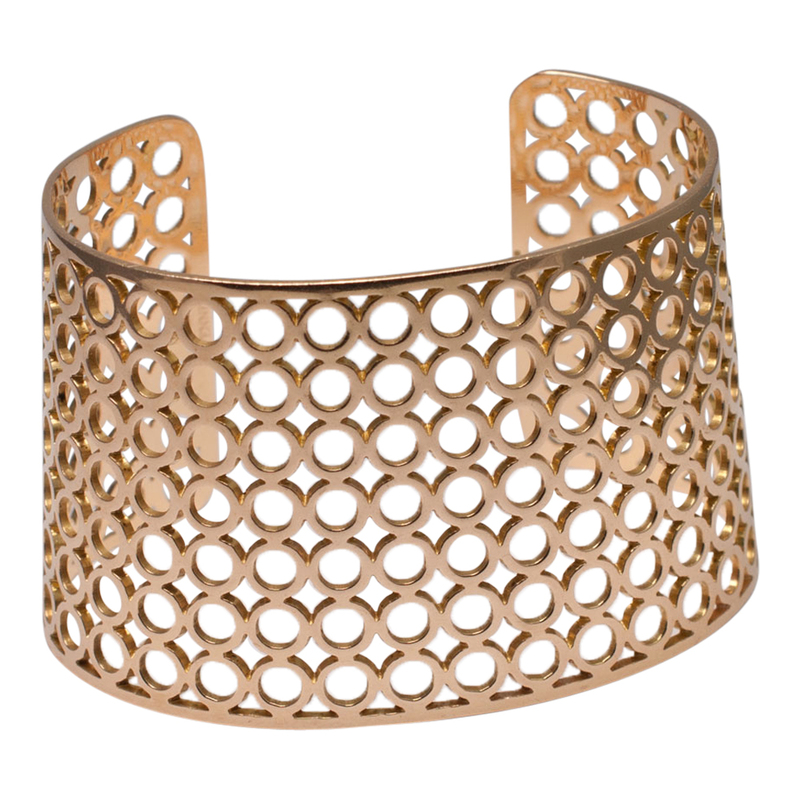 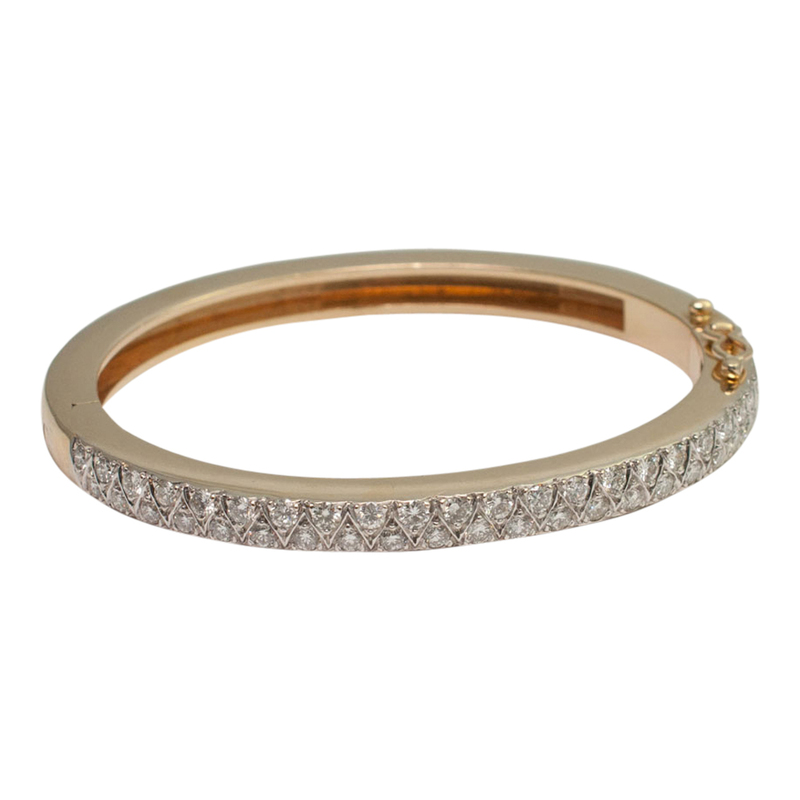 It has been made in the rich warm tones of 18ct gold with a hint of rose gold so popular in the 1940s. 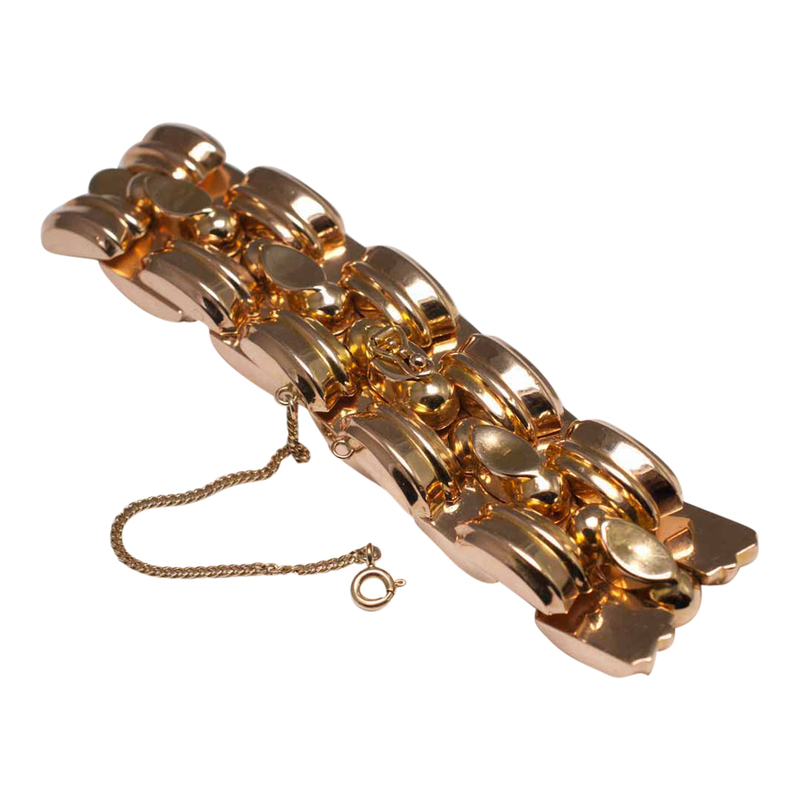 In the form of a tank bracelet, this has been made in articulated sections to fit comfortably around the wrist and has a security chain attached. 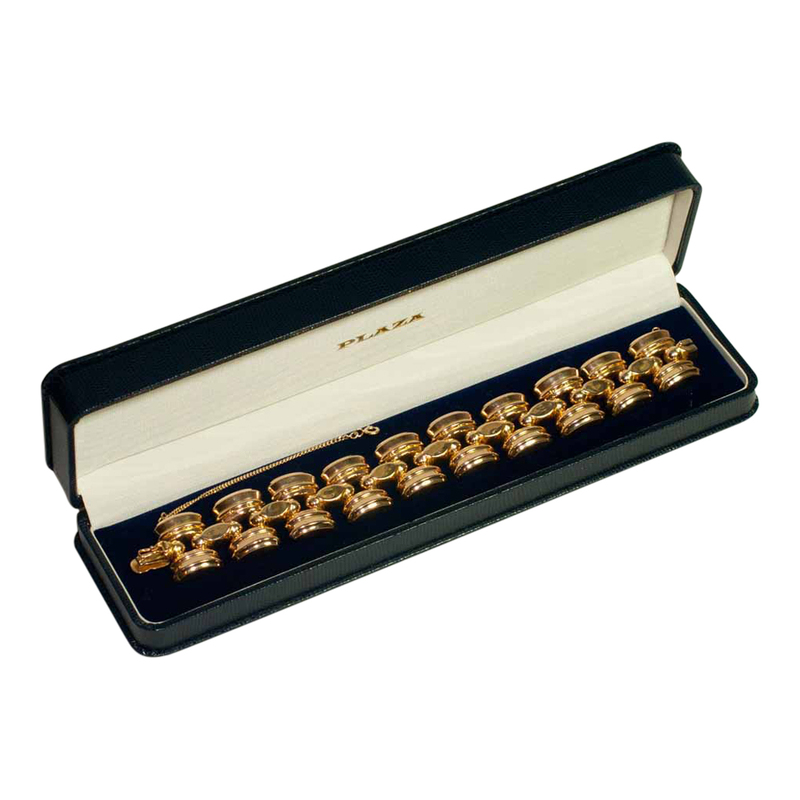 It is fitted with a clasp that slides into the end section and has a further “figure-of’-eight” lock for added security. 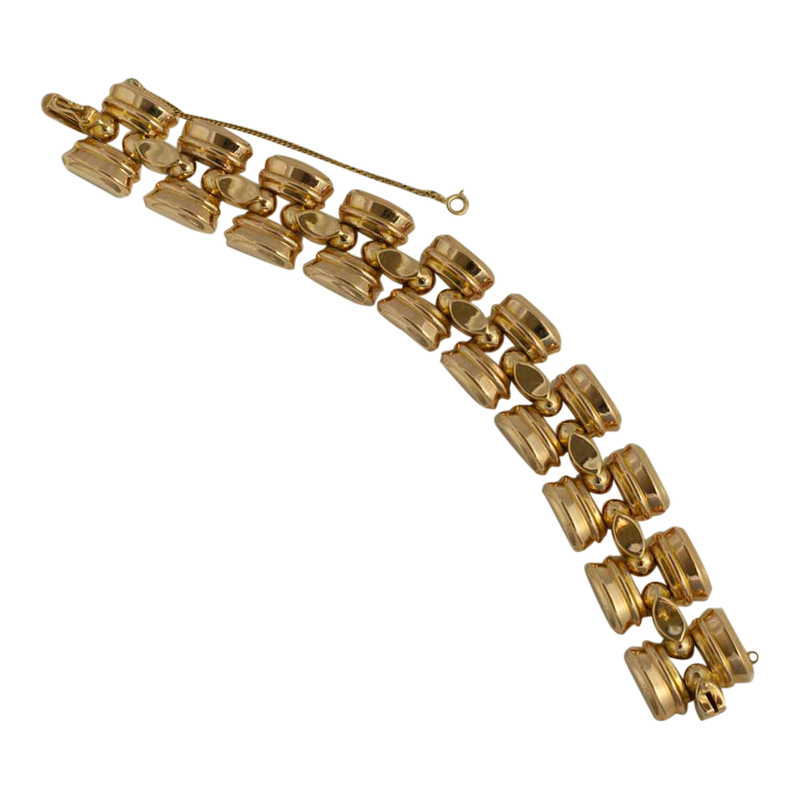 Stamped 18k. 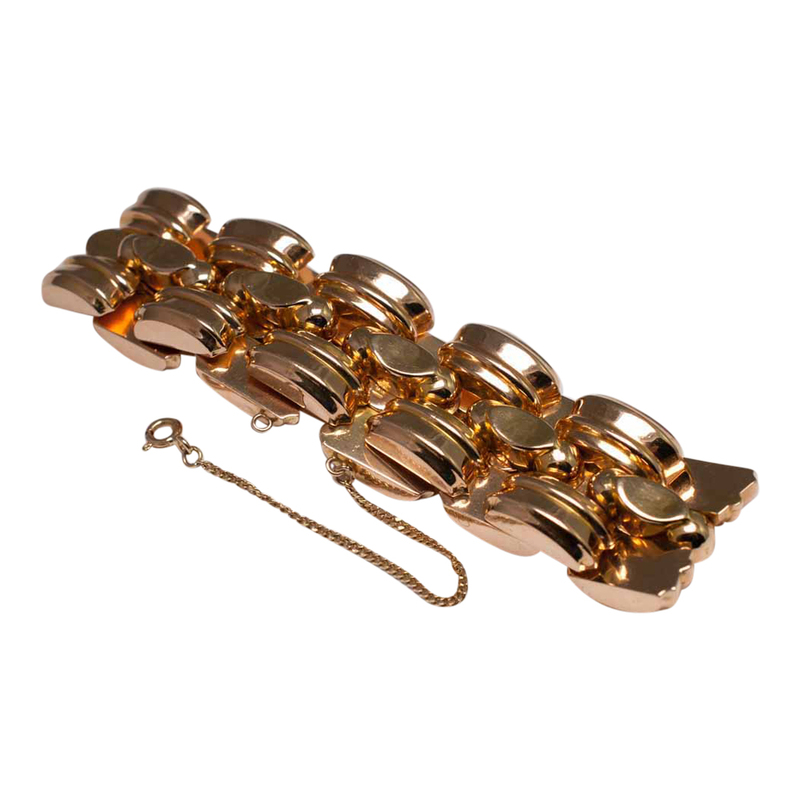 This bracelet is in excellent vintage condition. 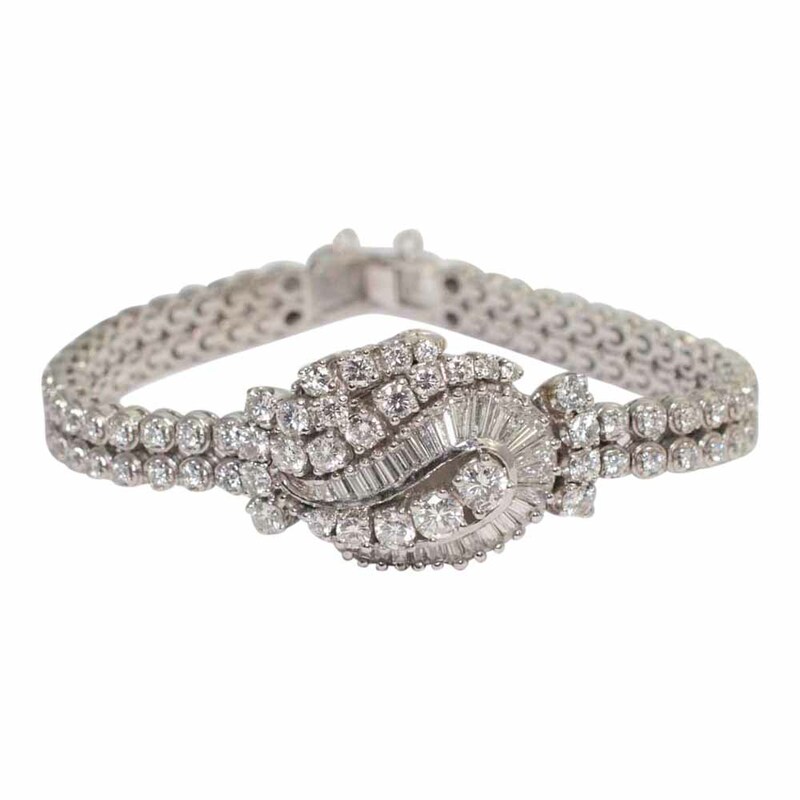 C.1940.